Prof. Uriel Reichman was born in Tel Aviv in 1942 to Gerda and Alfred, refugees who fled from Nazi Germany to the Land of Israel. Prof. Reichman served in the paratroopers of the Israel Defense Forces from 1960 to1963, earning the rank of lieutenant. As a commander in the IDF Reserves, he fought in the Six Day War, War of Attrition and Yom Kippur War. After his brother, Gad, fell in battle in the Yom Kippur War, he was transferred to a non-combat unit and served as the president of a military land tribunal, with the rank of major. Prof. Reichman received both LL.B. and LL.M. (1967) degrees with honors from the Faculty of Law at the Hebrew University of Jerusalem. He earned his doctoral degree in law (J.S.D.) at the University of Chicago Law School (1975). He went on to serve as a lecturer, senior lecturer and tenured professor at the Faculty of Law at Tel Aviv University. In addition, he was a visiting professor and researcher at American and German universities. His academic publications, which have been published in Israel and the U.S., dealt with property law. From 1985 to 1990, he served as the dean of the Faculty of Law at Tel Aviv University. 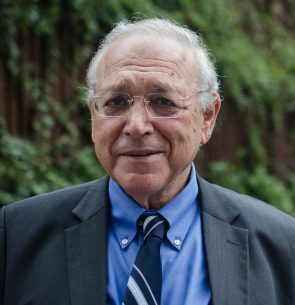 In 1990, he founded the Ramot Mishpat Law School, the first private college of its kind in Israel not subsidized by the government, and led it until 1995. In 1994, Prof. Reichman founded the Interdisciplinary Center (IDC) Herzliya, the first non-profit private institution of higher education in Israel. He has served as its president from its establishment to date, with the exception of only one year (2006). From a small college with only 240 students operating in the barracks of a former military base, IDC Herzliya has developed into one of the leading academic institutions in Israel under his leadership. Some 1,400 of its 6,300 students come from abroad, from 84 different countries, making IDC Herzliya a truly international institution of higher education. In the mid-1980s, Prof. Reichman initiated and led the team which formulated a proposal for an Israeli constitution. The proposal (1987) included reforms such as the direct election of the prime minister, constituency elections, a Bill of Rights, and a new definition of the relations between religion and state. He subsequently chaired the Movement for a Constitution in Israel and led the campaign to have the proposed constitution accepted and implemented. As a result, the Knesset passed legislation in 1992 that turned part of the proposed constitution into Basic Laws. Prof. Reichman continued to strive to improve the method of governance in Israel and in 2012, at the founding conference of the non-profit association Israel’s Hope, which is dedicated to reforming Israel’s political system, he presented the bill to change the electoral and governance method which he had drafted along with Prof. Amnon Rubinstein and Prof. David Nachmias. The bill offers a solution to the problems that currently exist in the governing system and facilitates strong stable governance that will express the will of the majority while preserving representation of the many different sectors that make up the State of Israel. After the Yom Kippur War, Prof. Reichman had joined Prof. Rubinstein to establish the Shinui Movement for Change. In 2005, he rose to the challenge that then-Prime Minister Ariel Sharon presented to him and became the newly established Kadima Party’s candidate for minister of education. After the elections, when then-Prime Minister Ehud Olmert gave the education portfolio to one of the parties that was Kadima’s partner in the governing coalition, Prof. Reichman resigned from the Knesset and returned to IDC Herzliya since his only interest was trying to help the country face its educational challenges, not serving in another ministerial position. Upon his return, Prof. Reichman was reelected IDC Herzliya’s president. In 2010, Prof. Reichman was awarded an honorary doctorate by Heinrich Heine University in Dusseldorf, Germany. Prof. Reichman has served on the board of directors of the First International Bank and Bank Hapoalim. He also has chaired the Israel Bar Association’s Committee for Human Rights, headed and served as a member of several public committees, and proposed reforms in the real-estate laws and in the professions of real-estate surveying and brokerage. He is married to architect Nira Reichman and has three children and five grandchildren. The right team is the most important aspect of transformation. The right people in the right jobs will yield great results.